Although women comprise half of the population and almost half of the workforce in the United States, they make up less than 25% of workers in STEM fields. Further, educational attainment rates in engineering and IT fields for women are low. According to the U.S. Department of Commerce, one in seven engineers is female and less than 20% of bachelor’s degrees in computer science are awarded to women, even though they represent 60% of college student population. The issue, however, is not limited to North America. In the U.K., women hold only 13% of STEM roles and in India women only make up about 28% of the IT workforce. Promoting advancement of women in STEM fields is an opportunity for wage equity, economic growth and social prosperity. Women with career-ready skills in STEM disciplines represent an incredible talent pool for companies like TCS, its clients and competitors. Careers in STEM and STEM-related industries offer better compensation and more advancement opportunities. In fact, women in STEM careers earn 92 cents to the dollar versus 77 cents for women in other fields. TCS’ approach to corporate social responsibility is guided by its strategy to create “Impact through Empowerment” around three thematic areas: health, education, and planet. It serves local communities where its employees live and work by addressing pressing issues, such as the lack of diversity in the STEM workforce. As a symbol of its corporate commitment to education, TCS is working to build a stronger pipeline of future talent STEM professionals through strategic partnerships such as with Million Women Mentors (MWM), thought leadership through computer science round tables and publications such as “Women in STEM: Realizing the Potential” with STEMconnector®, as well as its own signature pro-bono capacity building educational program, goIT. goIT is TCS’ signature community engagement program in which TCS associates in North America aim to increase STEM education and career awareness for school children. The goIT program is offered free of cost to middle and high school students, and covers career awareness workshops, hands-on technology education, teacher trainings, and parent orientations. 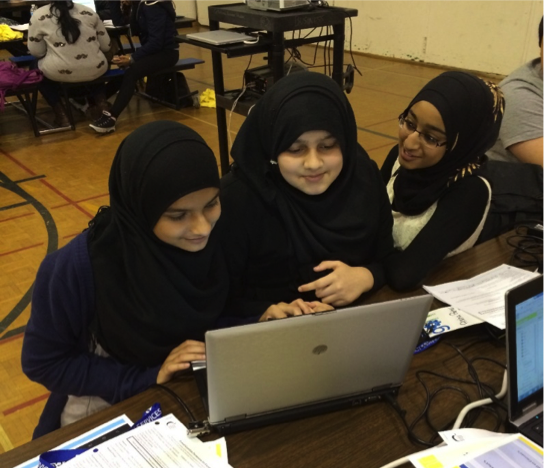 The program is designed to increase student interest in computer science education and awareness on the abundance of promising careers for boys and girls through in-school, after-school, out-of-school, formal, and informal formats. Since its launch in Cincinnati, OH in 2009, the goIT program has engaged more than 8,750 students across 11 cities in U.S and in Toronto, Canada covering over 70 school districts, with promising results. This year alone, goIT attracted over 1,750 new students, expanding from 3 to 12 cities, with over 500 new employee volunteers, resulting in over 17,000 hours of high-impact skill building, computer science programming and mentoring for students, including those from underserved groups, minorities and girls. Through its multiple partnerships, TCS leverages its IT expertise and core competency to build capability, enhance quality and improve employability. TCS and the National Center for Women & Information Technology (NCWIT) committed to scale up the AspireIT computing outreach program during the Clinton Global Initiative to serve 10,000 additional middle school girls by 2018. 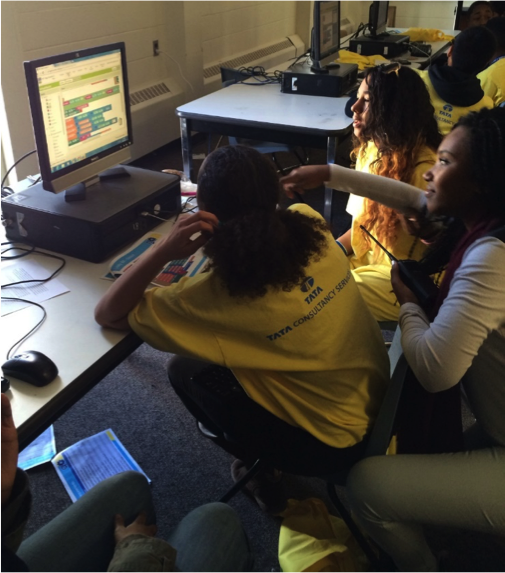 Over the course of four years, NCWIT will lead a national effort to recruit and support over 600 qualified high school and college women and 250 partner organizations that will co-create and deliver about more than 400 computing outreach initiatives, including after-school programs, summer camps, and weekend conferences. As a proud founding sponsor of MWM, TCS pledged to mobilize 15,000 employees worldwide to serve as mentors and help guide girls and young women into STEM careers. That is MWM’s largest corporate pledge to date. TCS understands the need of a diverse workforce. The company recently reached the milestone of one hundred thousand women employees worldwide, approximately 33% of its workforce. Countering the critical shortage of women pursuing STEM fields in high school and beyond, TCS will continued to utilize its employees to serve as role models and inspire the next generation of female computer scientists and engineers.